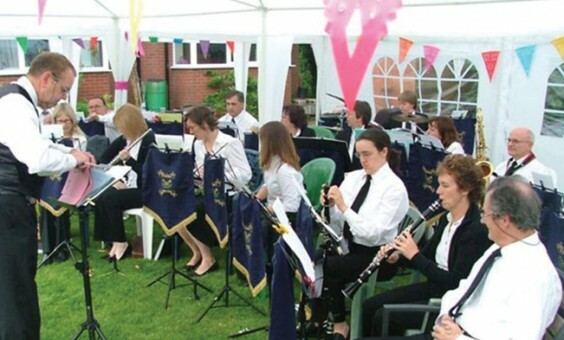 Blackwell Concert Band are on the lookout for more players to join their friendly group. A village band-style set up, the players vary in ages and skills, and instruments cover most of the brass and wind range, also including a drummer. “We currently have a busy front line of clarinets and flutes and would ideally love some more cornets, horns, and baritones/euphoniums/basses – anyone from the lower end of the spectrum,” says Vicky Cook, Secretary of the band. The band is currently led by Joe Waggott from the Conservatoire, an accomplished young musician who is in his first year with the band and has been made to feel most welcome. It is hoped he will inspire them to an all-round higher standard of playing while helping to maintain the camaraderie and spirit so important to the band’s character. The band are playing in several concerts this year, starting in the Birmingham Botanical Gardens on Easter Sunday and Bromsgrove bandstand at the start of May, and also playing at steam rallies and Arrow Valley country park. Chairman Kevin Pearson, with the help of a select committee from within and outside the band, is also organising a memorial concert at Fairfield in Bromsgrove on July 5, as a result of the tragic shooting there in January.